Cloves are the dried flower buds of the Syzygium aromaticum tree. While the tree is indigenous to the Maluka Islands of Indonesia, cloves are now found in India, the West Indies, Tanzania, Sri Lanka, Brazil, and Madagascar. For over 2,000 years, Indian and Chinese traditional medicine has made extensive use of cloves and clove oil. Arabic traders first brought the fragrant buds to Europe in the fourth century. It wasn't until the seventh and eighth centuries that cloves became popular as a food preservative in Europe. 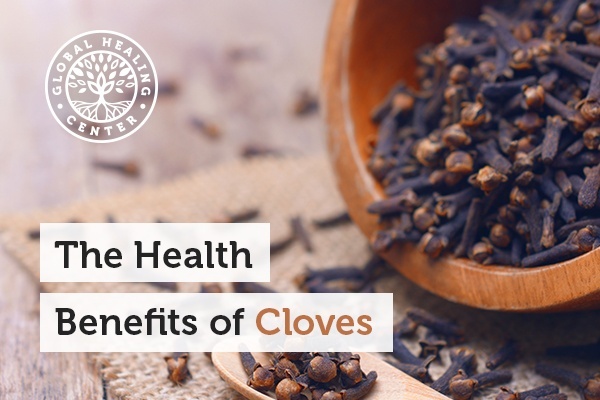 Today, cloves are found in spice racks and grocery stores throughout the world, and a growing body of scientific evidence supports their use as a natural remedy against harmful microorganisms. Cloves contain eugenol, a powerful phytochemical that offers many benefits and is also responsible for cloves' distinct odor. 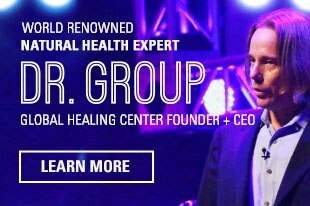 Research has repeatedly shown that cloves and eugenol are effective at establishing an environment that is resistant to harmful organisms. [1, 2] When Portuguese researchers evaluated eugenol against harmful organisms that target the gut, they observed that eugenol might offer potential as a natural therapy for promoting balance. 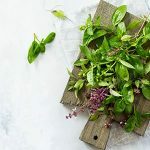 Clove, wintergreen, cinnamon, and peppermint are just some of the many essential oils that have demonstrated action against harmful organisms, including Candida. [4, 5] An interesting practical application of this benefit is common in Japan where researchers believe that spices like cloves protect seafood dishes against microbes that cause foodborne illnesses. More than just an annoyance, insects like mosquitoes carry disease. Unfortunately, many bug repellent sprays contain toxic chemicals, such as DEET. According to Duke University, clove oil is a natural insect repellant for those who want to avoid harsh, chemical deterrents. Research conducted by Thailand's Mahidol University found clove oil to be extremely effective at repelling mosquitoes. Clove oil can relieve occasional gas and bloating. It reduces gas pressure in the stomach and supports the proper elimination of waste. It may relieve stomach discomfort and can be effective against nausea, hiccups, motion sickness and vomiting. Clove oil, which encourages healthy teeth and gums, is a traditional remedy for relieving toothache, sore gums, and oral discomfort. With an action similar to capsaicin, the eugenol in cloves depresses the sensitivity of receptors that register discomfort. For even more soothing action, cloves contain beta-caryophyllene, which has a fast-acting (but short-lived) effect against discomfort. In animal studies, cloves were found to promote normal blood sugar in mice,[11, 12] an effect that warrants further investigation in human trials. It appears one of the many compounds in cloves supports normal sugar formation in the liver. In one study, researchers found that eugenol in dried cloves helped preserve bone density, reduce bone loss, and protect bone tensile strength in mice. This evidence serves as a catalyst for the idea that cloves may have support normal bone health in human. More research is necessary to validate this notion. In Asia, the incidence of some diseases is lower than in western nations. The culinary styles in Asia also use a heavy hand with spices such as turmeric, black pepper, cinnamon, ginger, and cloves. 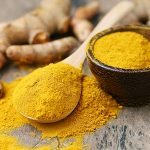 These spices, which can soothe irritation, may support normal brain health even in the face of aging. Growing cloves is a challenging endeavor, and you'll need a lot of patience to get to your harvest. Going from seed to the first harvest takes 15 to 20 years. If you're still determined to grow cloves, make sure you live in a tropical zone — zones 10 and 11 to be specific. Though the tree will grow in subtropical zones, it may not flower, which, unfortunately, means it won't produce cloves. To start growing cloves, soak the whole clove fruit in water overnight to remove the fruit flesh from the seeds. The seeds must be moist or come inside the clove fruit to be viable. You cannot grow from dry seeds. After removing the fruit, "plant" the shorn seeds either by barely covering or just leaving the seeds uncovered on top of your germinating medium. Young trees are very thirsty in the first years, so make sure you water often. They should remain in the germinating medium for about six months until they're hardy enough plant in soil. Finally, plant the seedling in an area where it is protected from the wind. After planting cloves, you'll need to water often to keep the plant hydrated and healthy. Around the sixth or seventh year, the tree should yield a few flower buds, but around year 15 you should have enough buds for your first legitimate harvest. To harvest, pick the buds before they open. Once a bud has started turning pink, it's too late to harvest. Dry your fresh-picked cloves in the sun for a few days until they've lost over 50 percent of their weight and turned brown. Cloves have a strong flavor and thorny texture that prevents their enjoyment as a snack food. But, don't let that keep you from incorporating them into your diet. Try to add clove (and cinnamon) to smoothies or your morning coffee to bump up the flavor. You can also add ground cloves, or clove oil, to empty capsules. Organic cloves are readily available in most grocery stores, spice shops, and online. Have you tried cooking or supplementing with cloves? What benefits have you noticed? Leave a comment and let us know! He M, Du M, Fan M, Bian Z. "In vitro activity of eugenol against Candida albicans biofilms." Mycopathologia. 2007 Mar;163(3):137-43. Epub 2007 Mar 14. Pinto E, Vale-Silva L, Cavaleiro C, Salgueiro L. "Antifungal activity of the clove essential oil from Syzygium aromaticum on Candida, Aspergillus and dermatophyte species." J Med Microbiol. 2009 Nov;58(Pt 11):1454-62. doi: 10.1099/jmm.0.010538-0. Epub 2009 Jul 9. Machado M, Dinis AM, Salgueiro L, Custódio JB, Cavaleiro C, Sousa MC. 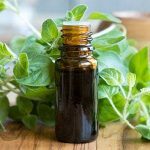 "Anti-Giardia activity of Syzygium aromaticum essential oil and eugenol: effects on growth, viability, adherence and ultrastructure." Exp Parasitol. 2011 Apr;127(4):732-9. doi: 10.1016/j.exppara.2011.01.011. Epub 2011 Jan 25. Chaudhari LK, Jawale BA, Sharma S, Sharma H, Kumar CD, Kulkarni PA. "Antimicrobial activity of commercially available essential oils against Streptococcus mutans." J Contemp Dent Pract. 2012 Jan 1;13(1):71-4. Chami N, Bennis S, Chami F, Aboussekhra A, Remmal A. "Study of anticandidal activity of carvacrol and eugenol in vitro and in vivo." Oral Microbiol Immunol. 2005 Apr;20(2):106-11. Yano Y, Satomi M, Oikawa H. "Antimicrobial effect of spices and herbs on Vibrio parahaemolyticus." Int J Food Microbiol. 2006 Aug 15;111(1):6-11. Epub 2006 Jun 22. Shapiro R. "Prevention of vector transmitted diseases with clove oil insect repellent." J Pediatr Nurs. 2012 Aug;27(4):346-9. doi: 10.1016/j.pedn.2011.03.011. Epub 2011 May 25. Review. Blomhoff R. [Antioxidants and oxidative stress]. Tidsskr Nor Laegeforen. 2004 Jun 17;124(12):1643-5. Review. 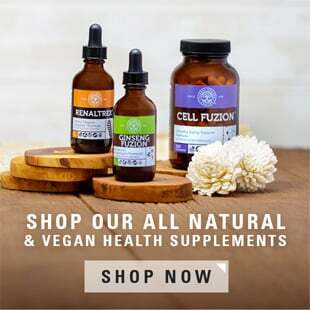 "Herbs and Natural Supplements, volume 1, 4th edition: Braun & Cohen." 2014. Print. 11 Jan. 2017. Kuroda, M, et al. "Hypoglycemic Effects of Clove (Syzygium Aromaticum Flower Buds) on Genetically Diabetic KK-Ay Mice and Identification of the Active Ingredients." Journal of Natural Medicine (2012): 394–399. Web. 11 Jan. 2017. Sanae, F, et al. "Effects of Eugenol-Reduced Clove Extract on Glycogen Phosphorylase B and the Development of Diabetes in Db/db Mice." Food & function. 5.2 (2013): 214–9. Web. 11 Jan. 2017. Karmakar, S, et al. "Clove (Syzygium Aromaticum Linn) Extract Rich in Eugenol and Eugenol Derivatives Shows Bone-Preserving Efficacy." Natural Product Research 26.6 (2011): 500–9. Web. 11 Jan. 2017. Yoshifumi, Irie. 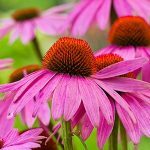 "Effects of Eugenol on the Central Nervous System: Its Possible Application to Treatment of Alzheimers Disease, Depression, and Parkinsons Disease." Current Bioactive Compounds 13.4 (2017): n.pag. Web. 11 Jan. 2017.